Webalo is increasing frontline workforce productivity across industries by providing the app generation infrastructure for companies to transform into User First™ organizations, where each user has just the information they need, on their device, to help them get their job done. 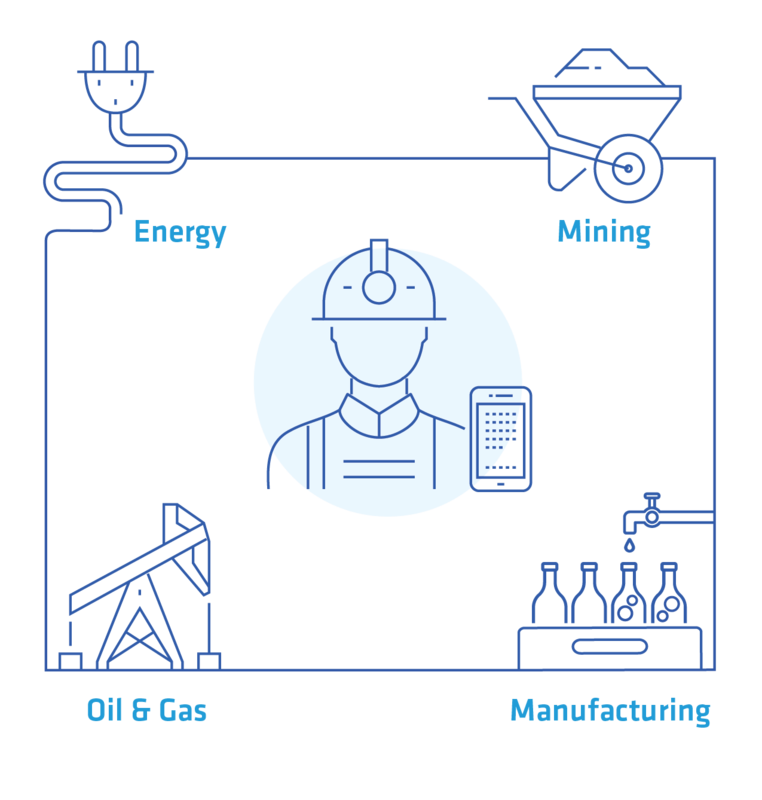 Webalo’s no-code, enterprise-grade platform enables industrial companies to easily generate custom apps, with personalized end user experiences, directly from their production, efficiency, quality and business data sources and rapidly deploy them to frontline workers' desktops, tablets and smartphones. 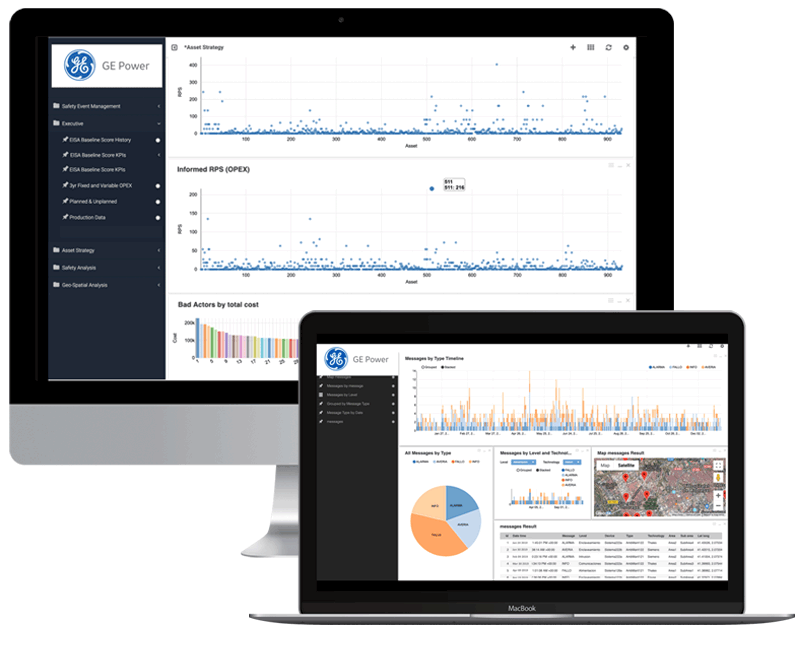 Webalo enables energy companies to easily monitor and visualize their operations in real-time, helping them make better, more informed business decisions that drive improvements in plant productivity, safety, equipment reliability and capital assets, for operational improvement across the business. Webalo has application in Power Generation, Energy Transmission & Distribution; and in central market applications including data hubs, balancing and settlements bodies and code authorities. 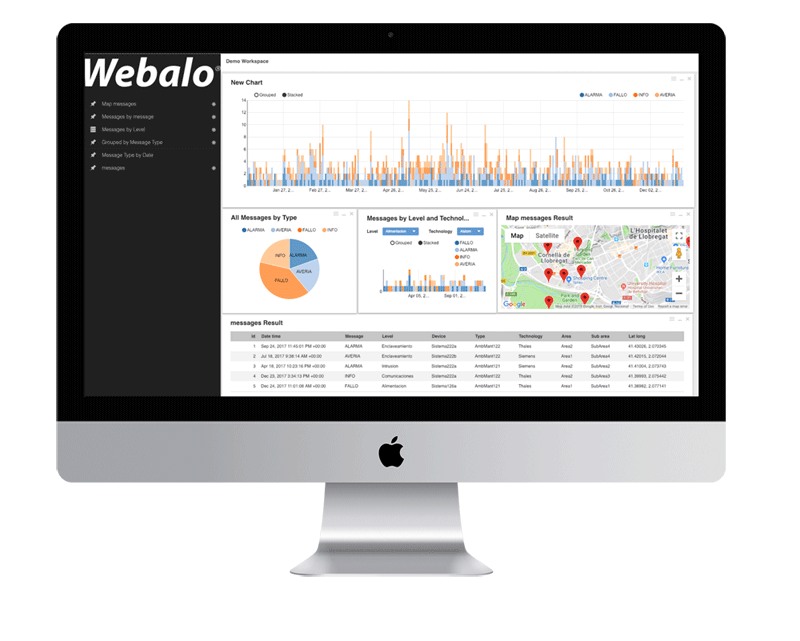 Webalo easily combines data from multiple disparate systems to analyze asset performance across asset fleets. Understand actual maintenance cost, failure rate, and impact of asset and asset class performance. Make informed decisions to optimize asset maintenance and asset replacement strategies. Combine data from multiple operational systems and data sources to build context-based visualizations of network assets, energy production, system demand and events. Quickly pinpoint, assimilate and communicate network and asset faults, and supply restoration information to enable your frontline workers to be more aware and productive. Turn your untamed event data into useful information that can be acted upon by your engineering teams. 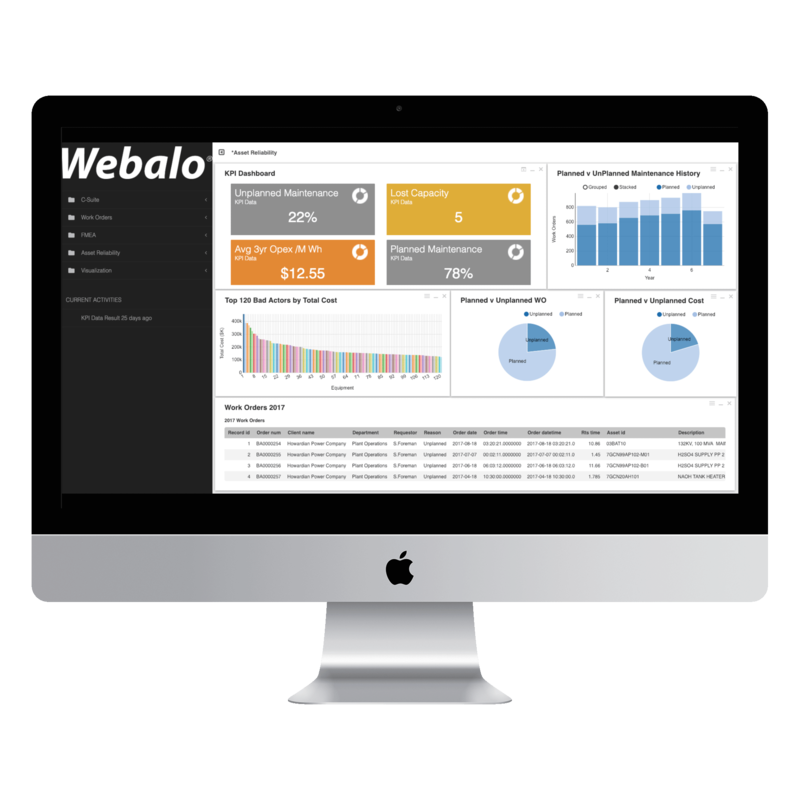 Webalo combines OMS and other related data sources to automate the calculation and reporting of supply quality performance KPIs (SAIFI, SAIDI, CAIFI, CAIDI). Analyze granular energy consumption data and events to measure and communicate contractor performance, supply quality and revenue assurance events. Aggregate and report granular energy consumption data to make informed decisions on system design and provide accurate network and asset specific data to contracted parties. 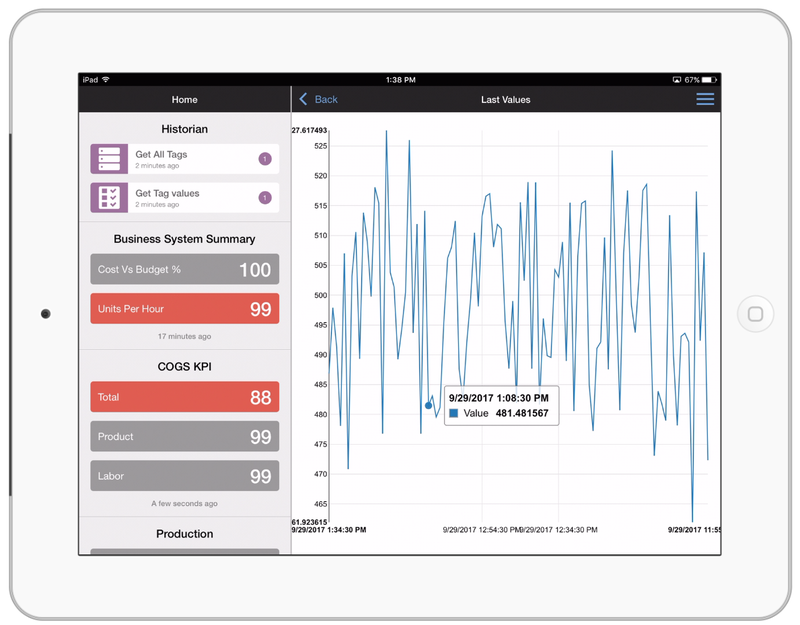 Use Webalo to improve plant productivity, performance (uptime/downtime/quality) and facilitate Good Manufacturing Practices with improved communications and visibility across operations. 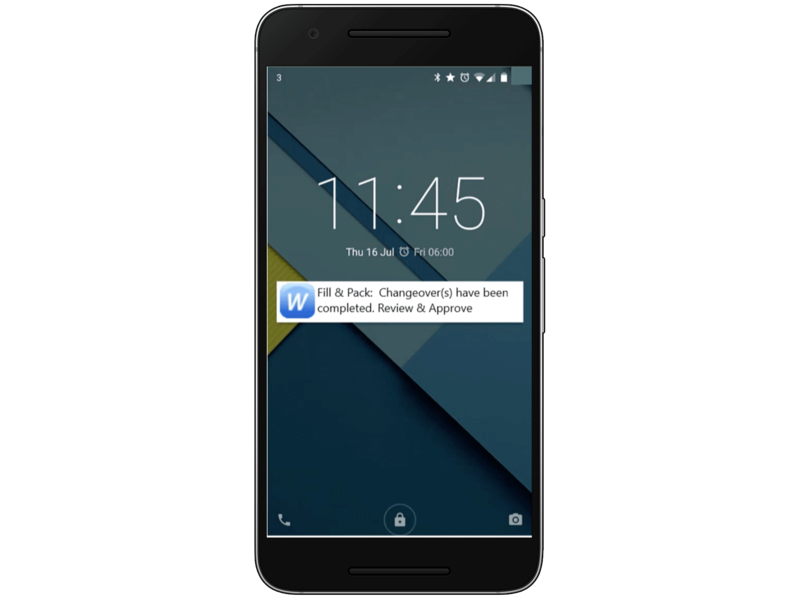 Mobilize your frontline workforce with a solution that supports digital workflows, alerts and notifications. Create apps that enable digital workflows for SOPs, operating procedures, asset management. Push alerts & notifications automatically to their mobile devices. Create role-specific screens for personalized experiences. 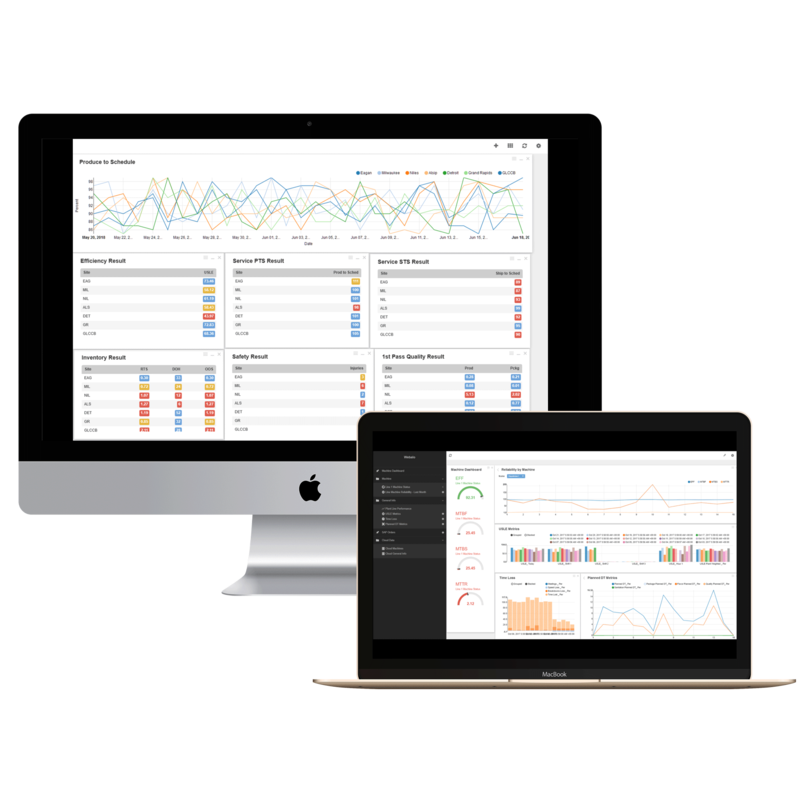 Power interactive dashboards, fed with real-time data coming from your processes. 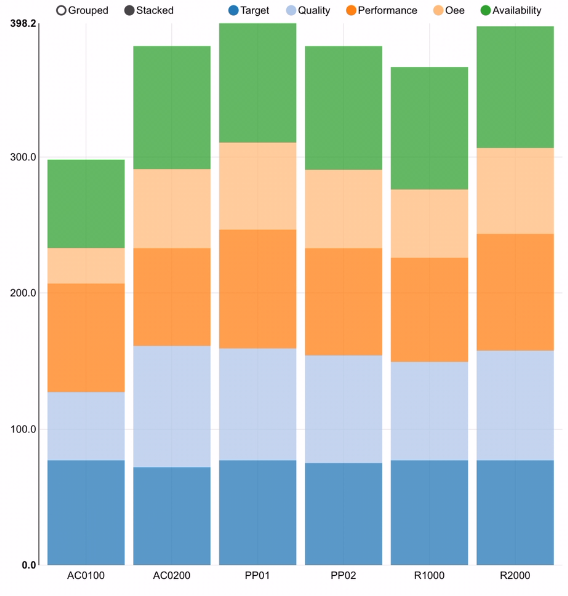 Mashup enterprise & operations data sources to build meaningful visualizations of KPIs. Gain better insight into OEE, Line Availability, Quality and Downtime using metrics from the source applications (MES, MOM, LIMS, ERP). Workflow-induced line changeovers increases efficiency of workforce by notifying when changeovers must occur, and capturing activities such as task/check lists, confirmations and approvals. 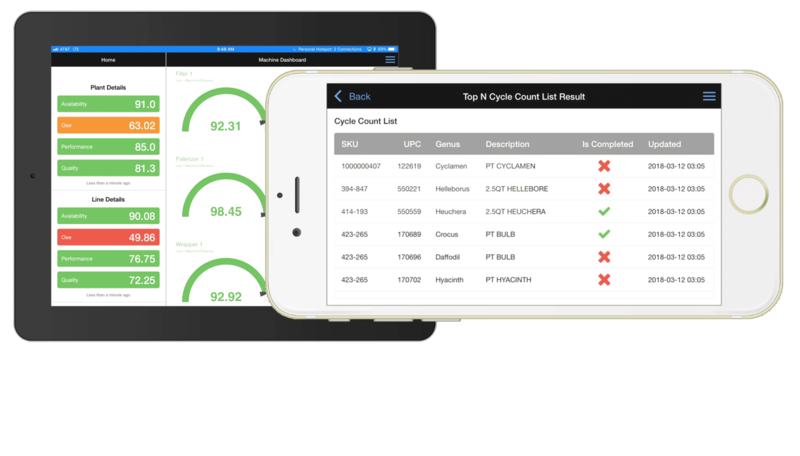 Simplify your material inspection process using a mobile application for guidance. Checklist failures can trigger notifications/workflow for rework, hold or other procedures. Integration with ERP for Supplier & Inventory Management. Webalo helps manufacturing companies to easily visualize data from disparate sources, and provides actionable insights that ensure companies meet production targets, control costs and reduce risk. 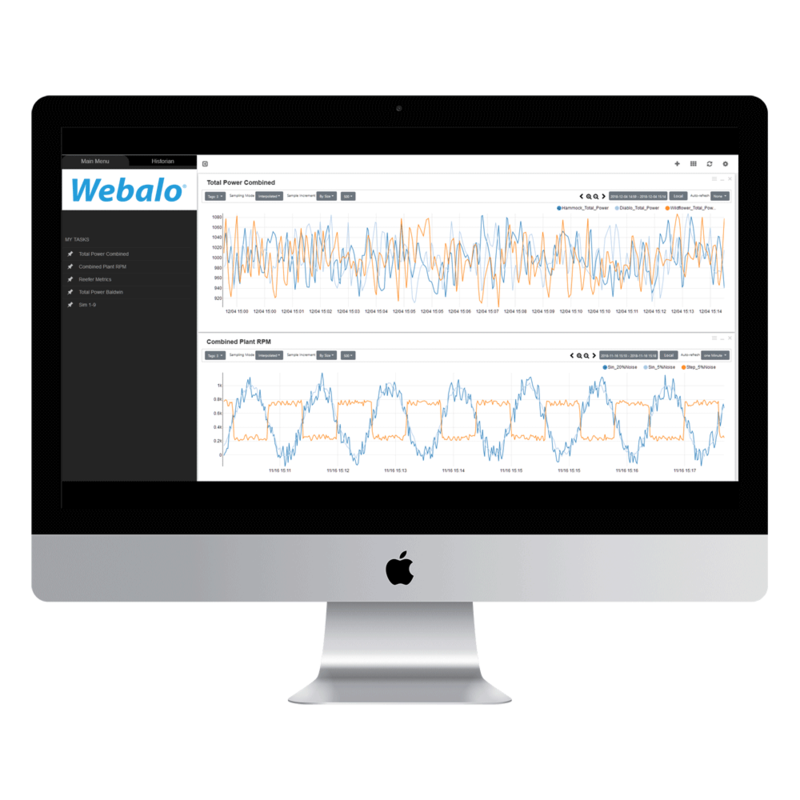 Webalo’s no-code platform provides the infrastructure for access to all plant metrics like OEE, availability, quality, downtime, events and other core manufacturing metrics. Gain real-time operations monitoring of manufacturing production lines through built-in connectors to on premise MES systems and other enterprise applications with real-time dashboards, automatically delivered to large screen displays, desktops and mobile devices, to ensure that managers are informed & equipped for real-time decision making to drive increased productivity. Real-time views of inventory, at all points in the supply chain, can increase sales, reduce wastage and maximize income. 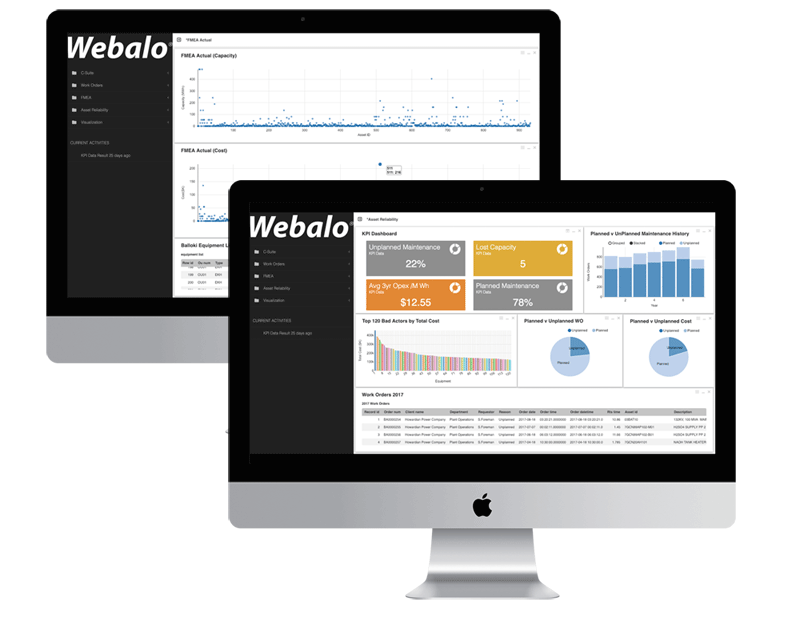 Webalo automates connections to existing industrial & enterprise systems (IBM, Microsoft, Oracle & SAP) to collect, organize and use real-time inventory data at a fraction of the usual time & cost, enabling manufacturers to track inventory and ensure the right products are in the right place at the right time. 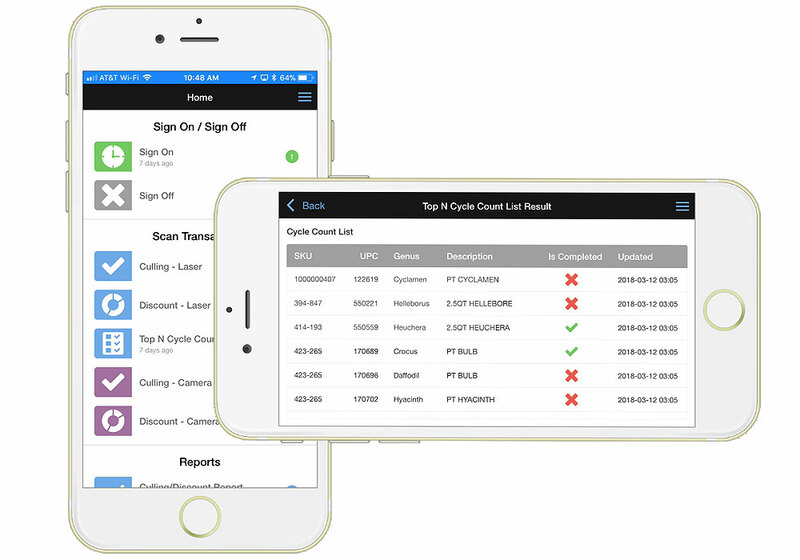 Live access to CMMS data for predictive maintenance, job assignments, field service assignments, field data gathering, access to parts inventory and logistics helping to reduce costs and increase asset availability to achieve operational efficiency goals. Increased efficiency and reduced production costs are critical requirements for minerals and mining businesses today. Webalo makes it easy to monitor and visualize mining operations in real-time to generate actionable processes that reduce unplanned downtime and optimize business operations. 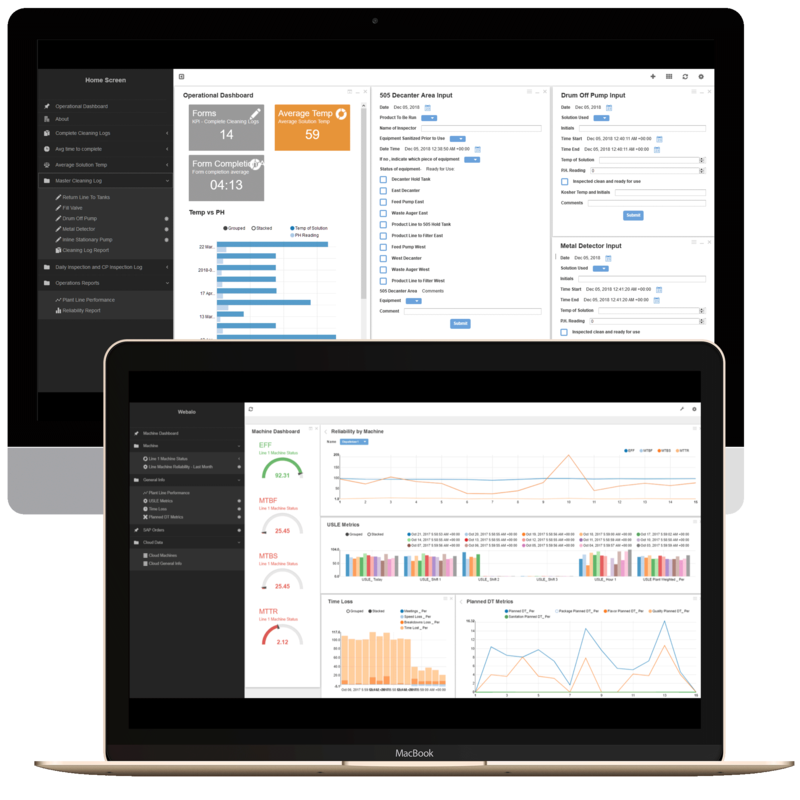 Create operational dashboards and feed to mobile and desktop devices in Webalo to monitor operations data to keep track of equipment availability and efficiencies, total runtime, downtime and mean time between failure. Help minimize power consumption, reduce hazards, alert to potential failure scenarios, and optimize frontline workforce productivity. Gain real-time visibility into production processes from multiple data sources, including data historians, asset databases, and operator input, to present a coherent Operational Model across sites and equipment, and providing a real-time view into processes and production output. Manage cross-site equipment availability, operations status, staff assignments and locations to optimize facility resources based on skills and availability. Digitization for the O&G Industry is driving new efficiencies in production optimization, analytics, asset management, planning and execution. By connecting workers, processes and equipment, a new, responsive supply chain can be created to better respond to the volatility experienced in O&G operations. 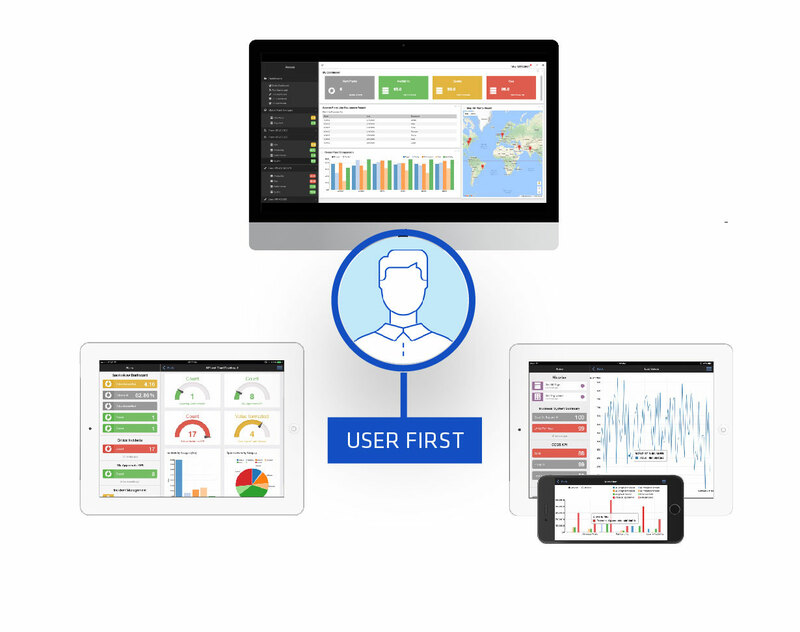 Webalo’s UX Platform for the Frontline Workforce offers O&G companies with the infrastructure to create mobile-ready applications across the enterprise, enabling workers with details such as current status on assets; workflow for task management or notifications; and interactive KPIs for performance measurement. Create interactive task lists for operators with real-time status updates and integrated workflow. A better way to manage complex supply chains of perishables. Use Webalo to cut waste, improve inventory management, mobilize & inform your frontline workforce. Frontline workers in the perishable goods industry gain real-time views into inventory, product movement, and status, along with data collection at the source, utilizing mobile devices. See how Webalo mobilized Bell Nursery’s frontline workers for more effective inventory management. Enable real-time supply chain management via mobile devices with enterprise scalability. 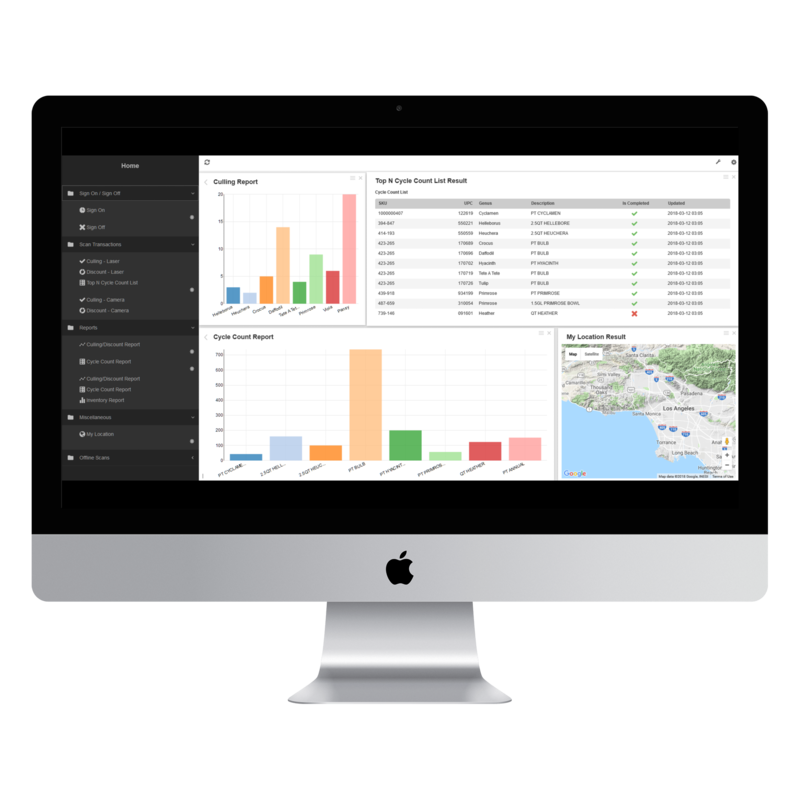 Combine your customers’ and suppliers’ data in user-driven dashboards to gain insight into production, waste, sales, returns. Develop delivery and inventory models to better predict revenue performance based on real-time metrics. Operational dashboards can be generated from multiple data sources to optimize manufacturing & supply chain operations. Establish production line, plant and multi-plant aggregated views for actionable insight into your production and supply chain. Modernize and extend your digital infrastructure by adding mobility and cloud-based services for frontline workforce productivity.